Ben-Amun double teardrop dangle earrings. 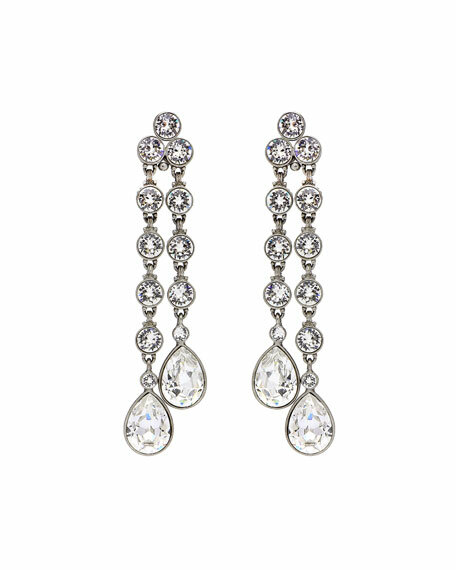 Two drops with round and teardrop crystals. Clip-on backs for pierced ears.